Chelsea crushed Hull in a convincing win in their FA Cup clash at Stamford Bridge. 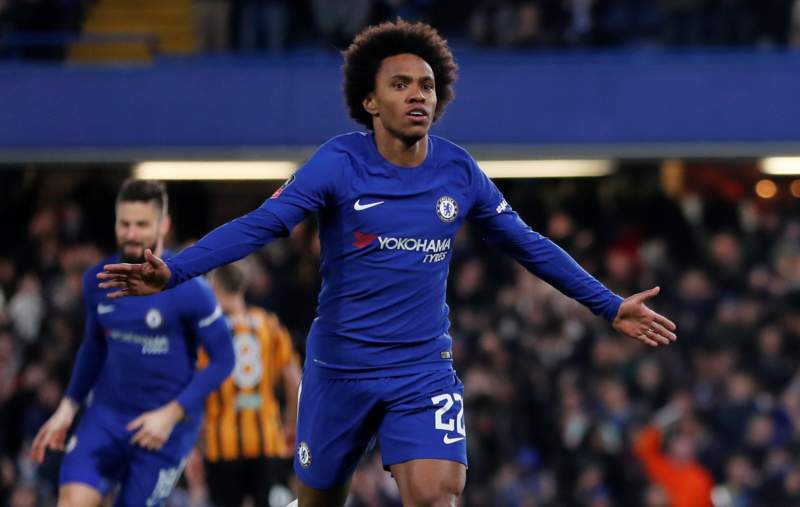 It didn’t take the Blues long to get the lead, with Willian picking up a loose ball on the edge of the box with less than two minutes played. The winger jinked inside a defender and unleashed a shot that flew into the net with the keeper rooted to the spot. The goals came thick and fast after that, with Pedro latching onto a lovely Fabregas pass to double the lead before Willian grabbed his second. Olivier Giroud then tapped home from inside the six yard box to add a fourth before half time, after great work down the left from debutant Emerson Palmieri. Things slowed down in the second half as Chelsea introduced a slew of subs, but there was still time for Willy Caballero to save a Hull penalty after Fabregas’ clumsy tackle in the area.